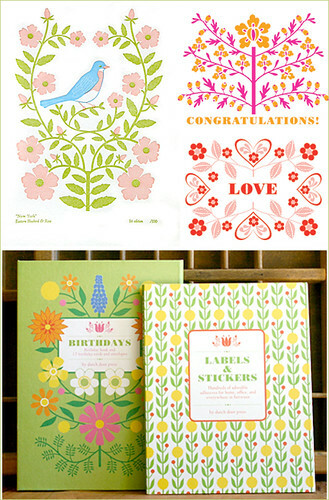 The fabulous Chelsea of Frolic alerted me to Dutch Door Press. I love them. Their style is so decorative and clean. It kind of reminds me of Sanna Annukka‘s work (here’s one of her pieces on my wall). Check out Dutch Door’s etsy shop. Happy Spring!! Free Card for you. I tried to use the flickr link but it’s private. Anywho, totally jealous that you have a Sanna Annukka print. I am madly in love with her work. Happy you like them. I am a huge fan and own their lovely calendar. I also love Sanna Annukka’s work.